For the 50th anniversary of Australia’s 1967 Referendum, Lucy Davies and Kate Laing reflect on the activism of Indigenous elder, Joyce Clague. In 1967, a national referendum was held and 90.77% of Australian citizens voted YES, the greatest ever national referendum majority in Australian history. In practice, this referendum mean that Indigenous Australians were counted in the national census and that the Commonwealth government could make laws for Australia’s First Peoples. It was the result of almost a decade of campaigning, where Indigenous and non-Indigenous is women were at the forefront. Joyce Mercy at the Foundation for Aboriginal Affairs, Sydney, 1965. Photograph and permission courtesy of the Clague family. Joyce Clague (nee Mercy), a woman of Yaegl – Bandjalung – Gumbainggirr heritage, was one of these women. 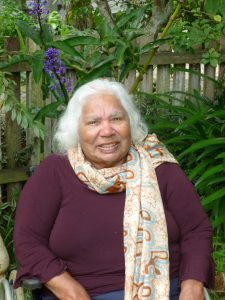 Her tireless work for Aboriginal rights has taken her across Australia and abroad and was acknowledged with an MBE in 1977. In February 2017, we were fortunate enough to visit Joyce Clague at her home that she shares with her husband Colin and their daughter Evette on Yaegl country in northern New South Wales. Our conversations over our week-long visit revealed a strong and humble woman with a wicked sense of humour. We were invited by Joyce’s family to help record her inspiring story, which to their dismay and ours, has not yet had the in-depth scholarly attention it should. May 27, 2017 will be the 50th anniversary of the 1967 referendum. Yet it is often mischaracterised: indeed, the Referendum did not give Indigenous people the vote, as Bain Atwood and Andrew Markus point out. But the vote for YES by 90.77% of the Australian population is today remembered as a national gesture of inclusion toward Indigenous Australians. 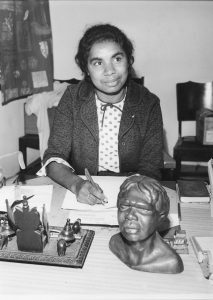 The campaign for the referendum was instigated in 1958 by women’s rights campaigner Jessie Street, together with the Aboriginal-Australian Fellowship (AAF). The AAF was formed in 1956 by Indigenous activists Faith Bandler and Pearl Gibbs to bring social and legislative reform for Indigenous Australians. As Street suggested to the AAF, parts of the Australian constitution discriminated against Indigenous Australians and these should be changed with a referendum. The AAF began circulating petitions which brought together many organisations consisting of Indigenous and non-Indigenous activists. Pressure to hold the referendum grew and the campaign began to gain momentum. In the mid 1950s, the young Joyce Mercy moved to Sydney and worked at St. Margaret’s Hospital in Darlinghurst. In the evenings, she studied for the nursing entrance exam. After one year of living in Sydney, family commitments called her home and she returned to north-east New South Wales. She continued to study, via correspondence. At the same time, she worked in a café in Yamba, around 16 kilometres towards the coast from Ulgundahi Island on the Clarence river, the Aboriginal reserve where she was born and raised. In her early twenties, Joyce connected with leaders of the Aboriginal rights movements in Sydney. Many influenced her, she noted, and ‘gave me an apprenticeship in Aboriginal affairs.’ Some of these individuals included Doug Nicholls (who later officiated her wedding), Pearl Gibbs, Faith Bandler, Bert Groves, Di Graham, and Jack and Jean Horner. In 1965, she became the welfare officer of the Foundation for Aboriginal Affairs in Sydney where she worked to create the welcoming social centre alongside Herb Simms and later Charles Perkins. 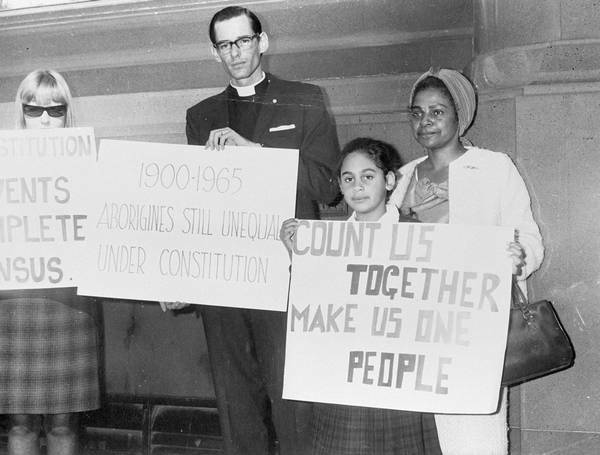 Bishop Garnsey, Faith and Lilon Bandler campaigning for a YES vote, 1967. Image via Audiovisual Archive, Australian Institute of Aboriginal and Torres Strait Islander Studies, Collaborating for Indigenous Rights. Joyce met her husband Colin Clague at an Asian Christian Youth Assembly in the Philippines. They married in 1966 and moved to the Northern Territory the week after their wedding. Ironically, their move to the Northern Territory meant that Joyce was not able to vote in the 1967 referendum – Territory residents were not eligible to vote in Commonwealth referendums. It was also the move away from metropolitan Sydney, and the city’s association with 1960s Aboriginal activism, that meant Joyce fell off the archival radar of histories about the movement. But she remained active nonetheless. In 1968, Clague stood as an independent for the Northern Territory Legislative Council and used her campaign to educate Indigenous communities on the importance of voting. However, few Indigenous people in the region of Central Australia were enrolled and her candidature was not successful. Joyce Clague, April 28, 2017. Photograph and permission courtesy of the Clague family. Joyce initiated a voter enrolment program that helped over 500 Indigenous people enrol to vote across central Australian communities by the end of 1972. This was followed by the dissemination of the voter education booklet, Voting in the Northern Territory (1975), published by Grace Bardsley Aboriginal Fund involving her Sydney AAF friends. During her career, Clague was a member of the Women’s International League for Peace and Freedom (WILPF) and represented Australia on WILPF’s behalf at a UNESCO conference in New Delhi in September 1966, becoming the first Indigenous Australian to attend a UN sponsored event. Here, she met Indira Ghandi and Kenyan activist Jael Mbogo. Clague was appointed to the World Council of Churches (WCC) Commission Program to Combat Racism (PCR) and attended its inaugural meeting in Geneva in 1970. The opportunities she utilised in this position allowed her to elevate her activism to the international sphere, raising issues on behalf of FCAATSI and the National Tribal Council in international WCC forums in Nairobi and Zurich. Returning to her home Yaegl country in 1975 to establish the Nungera Co-operative Society, Clague was appointed to government advisory councils created by Neville Wran and his Ministers in NSW including the Women’s Advisory Council. She also raised her daughters Pauline, Liesa, Grace and Evette. In 1995, she attended the Beijing UN Women’s Conference and spoke before an NGO gathering of thousands about the importance of co-operatives. Clague, along with Della Walker, also helped initiate the Yaegl Native Title claim over the area in the Clarence Valley. It proved to be the longest-running Native Title Claim in Australia and was eventually determined in the Yaegl community’s favour in 2015. As an outspoken Indigenous woman, Joyce Clague experienced significant discrimination throughout her political career. However, through her optimism and generosity, she found ways to bridge divides and advocated for change. Her persistence has made her one of the most influential and collaborative activists of our time. Joyce Clague, ‘Staying to the end,’ in Jocelynne Scutt, Glorious Age; Growing Older Gloriously (Melbourne: Artemis Publishing, 1993). Faith Bandler and Len Fox, The Time Was Ripe; A History of the Aboriginal-Australian Fellowship (1956-69) (Chippendale: Alternative Publishing Co-operative Ltd, 1983). 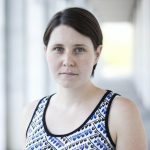 Lucy Davies is a Ph.D. candidate at La Trobe University. Her thesis examines how Papua New Guineans shaped Australia’s administration of Papua New Guinea through travel. Lucy is also Research Associate for the McCoy ‘Melbourne in the South Seas’ project at Museum Victoria. 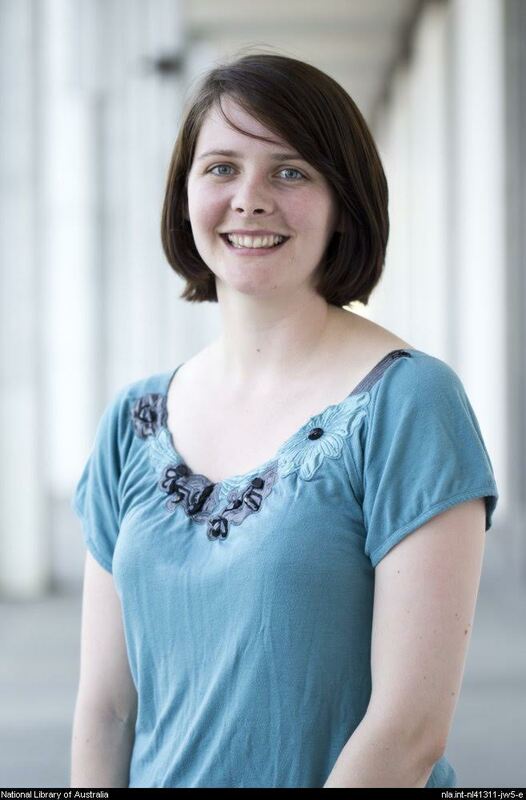 Kate Laing is a Ph.D. candidate at La Trobe University. 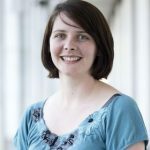 Her thesis looks at the history of women’s internationalism in Australia through a study of the Women’s International League for Peace and Freedom. 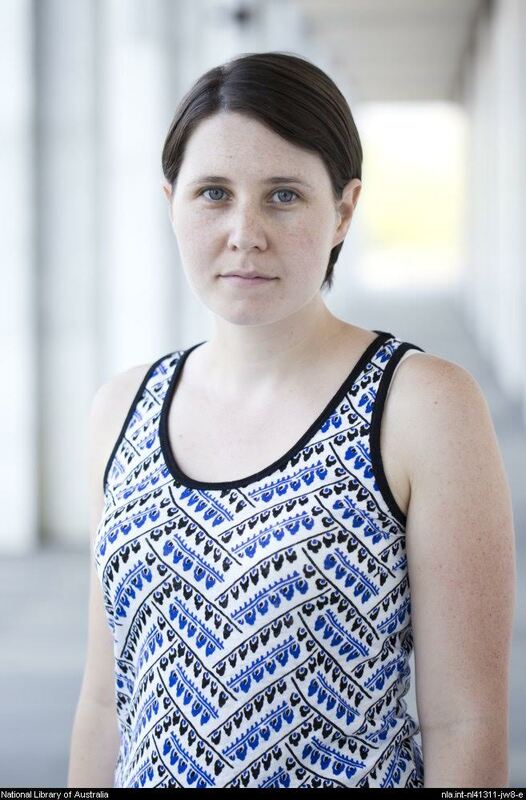 Kate was a National Library of Australia Norman McCann Summer Scholar in 2014. Follow Kate on Twitter @kateleonie. This entry was posted in Issue blogs, Research blogs. Bookmark the permalink.